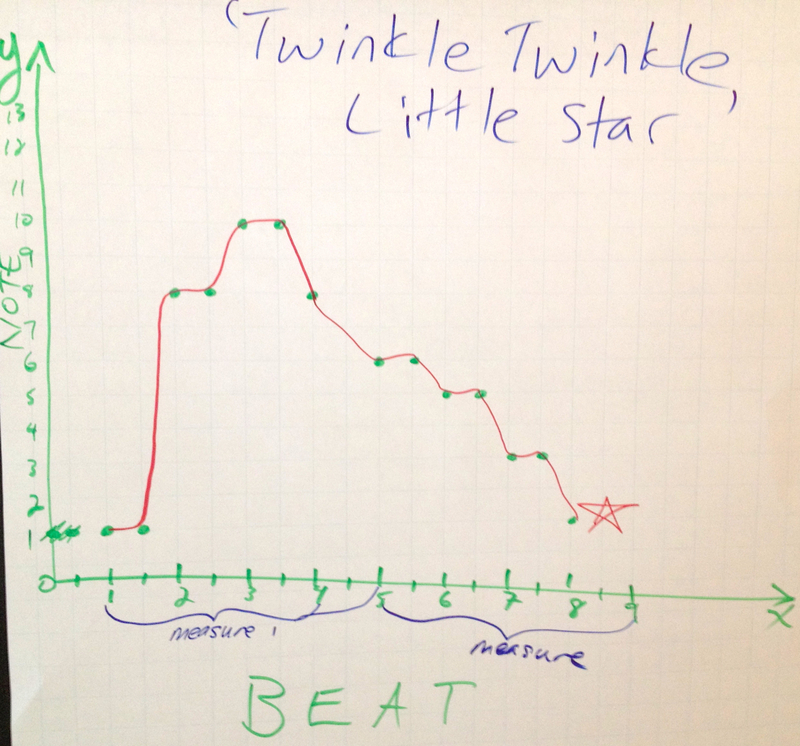 Here’s a graph of Twinkle Twinkle Little Star. We used a 13 note (one octave) chromatic xylophone to play the song. Then I asked the students if we could use an x-y plot to remember how to play the song. After some debate, we determined that the notes (labeled 1 through 13 on the xylophone) should go up the y-axis and that musical beats belonged on the x-axis. The students agreed that this “melody graph” would be a good way to teach other people how to play Twinkle Twinkle on the xylophone.